NADA convention attendees spent their days in San Francisco in make meetings, seminars and scouring vendors' stands in the Moscone Center. But nights were a time to relax, party a bit -- and build relationships that might be helpful in the year to come. 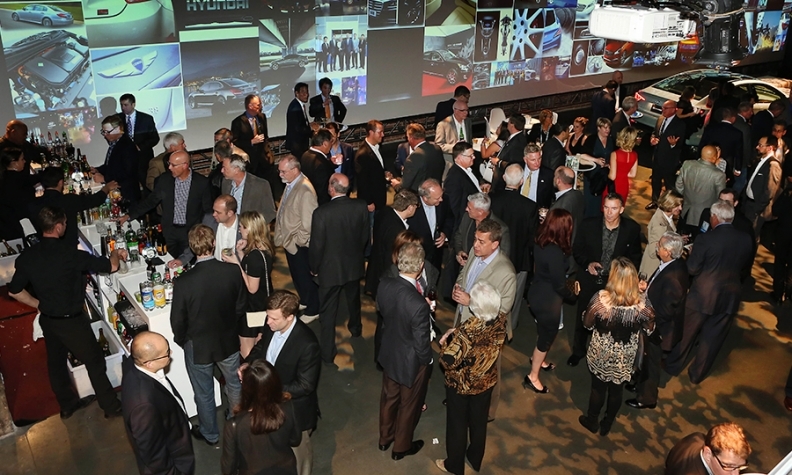 PICTURED ABOVE: Dealers crowd The Village for Hyundai's reception. The brand's marketing images became part of the decoration. 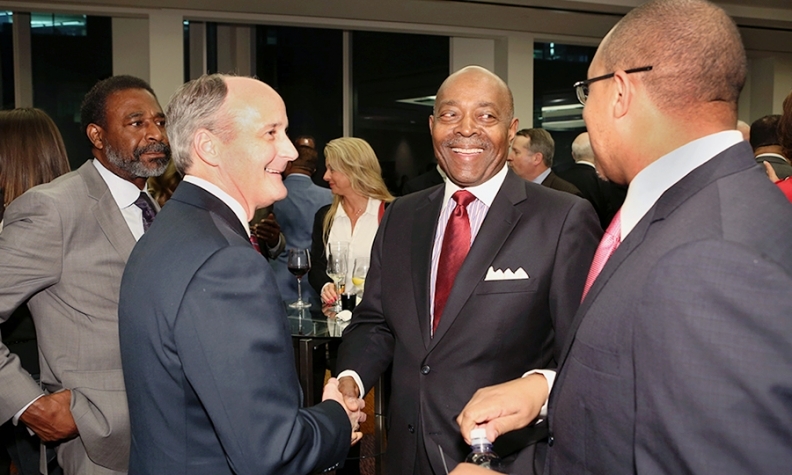 Mitch Mitchell, right, Chrysler senior manager of dealer network development operations, and Marcus Foreman, center, Chrysler manager of network diversity and dealer development, entertain dealer Al Heggs of Superstition Springs Chrysler-Jeep-Dodge-Ram in Mesa, Ariz., at the Fiat Chrysler Automobiles reception. 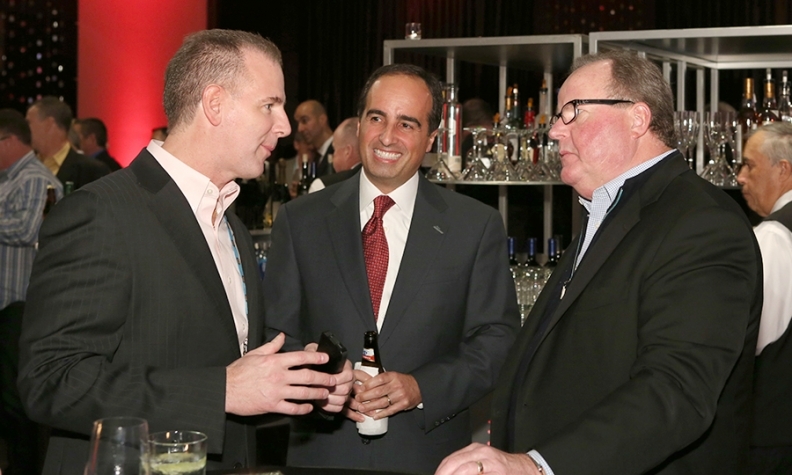 Mazda North American Operations CEO Jim O'Sullivan, right, entertains Denny Patton, COO of Cochran Mazda in Monroeville, Pa., left, and Majdi Suleiman, director of national accounts at AutoTrader.com, at the Mazda reception. 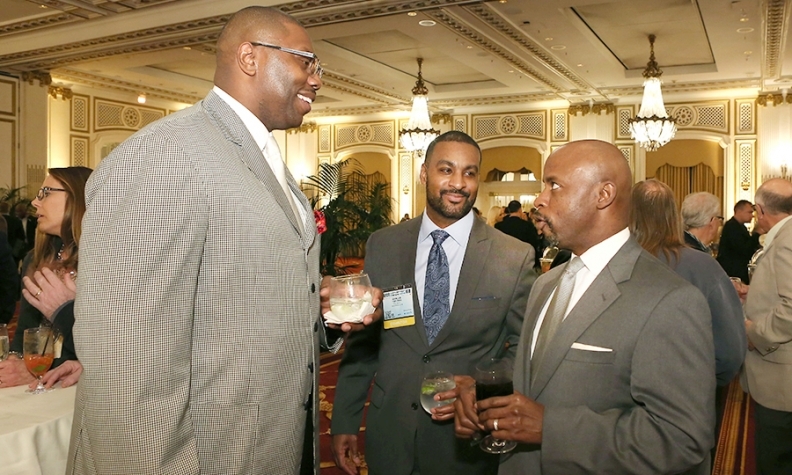 NAMAD Chairman Perry Watson, center, of Lexus of Mishawaka in Mishawaka, Ind., entertains outgoing NADA Chairman Forrest McConnell, left, and NAMAD President Damon Lester at the National Association of Minority Automobile Dealers reception. 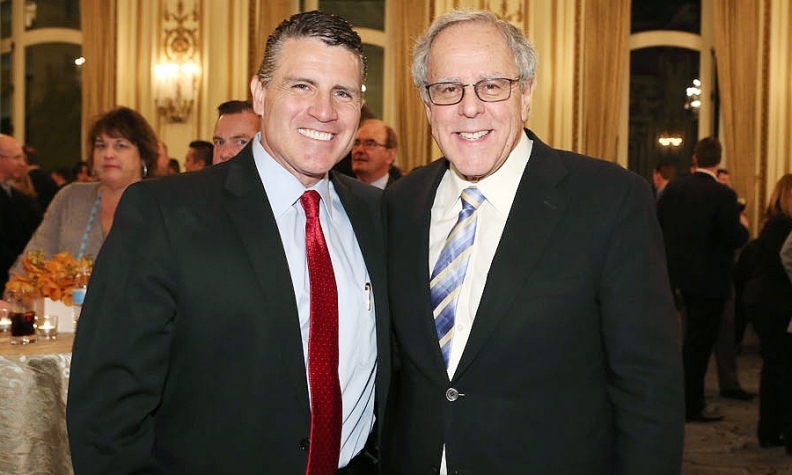 Fred Diaz, left, head of the Nissan brand's U.S. sales, marketing and operations, and industry veteran Jim Press, now an RML Automotive executive, at Nissan's reception. 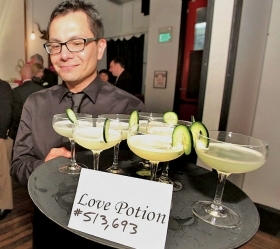 To celebrate its total sales in 2014, Subaru served Love Potion #513,693 at its reception at the 111 Minna Gallery.